Interesting, standalone map with a complex and winding roads. Many serpentine and difficult routes. Indonesia addon map with europe enviroment. Tested on ETS2 version 1.21.x. – Adding new ferry from calais to enter this map. – Replace map far to the left. – Adding one new city. – Rebuild map in some part. – For more details find in Readme (Baca Dulu) file. – Thank you for giving some suggestion to me so i can fix this map. But if you still found some errors or bugs, tell me correctly. 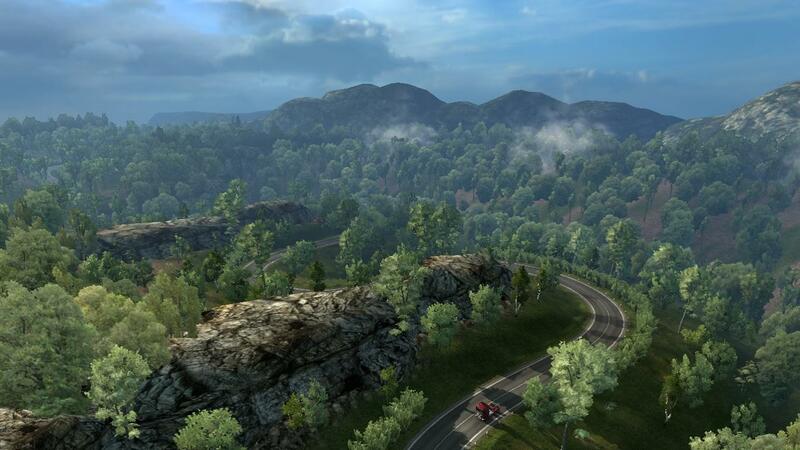 – Maybe this map can be complement or compatible with other map mod like TSM, Promods, Etc. So you can try and test it. – If you want to complement this map, make sure that panplus file must deactivate or delete some file in this panplus file. Enjoy the game and thank you.